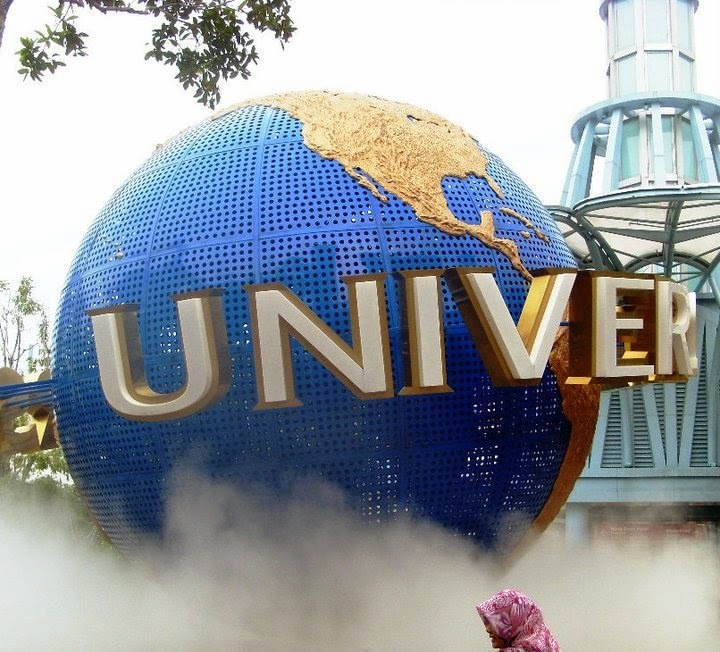 Enter the world of magic while in Singapore through Universal Studios. 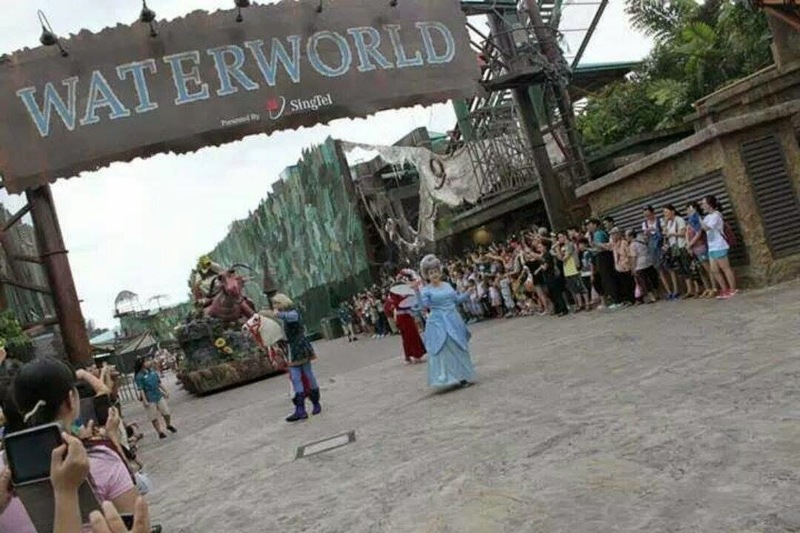 Located in the Resorts World Sentosa this amazing theme park will surely capture your imagination with its amazing display of your favorite blockbuster films and television series. Block off a day or two of your Singapore trip if you want to really experience this fascinating place. 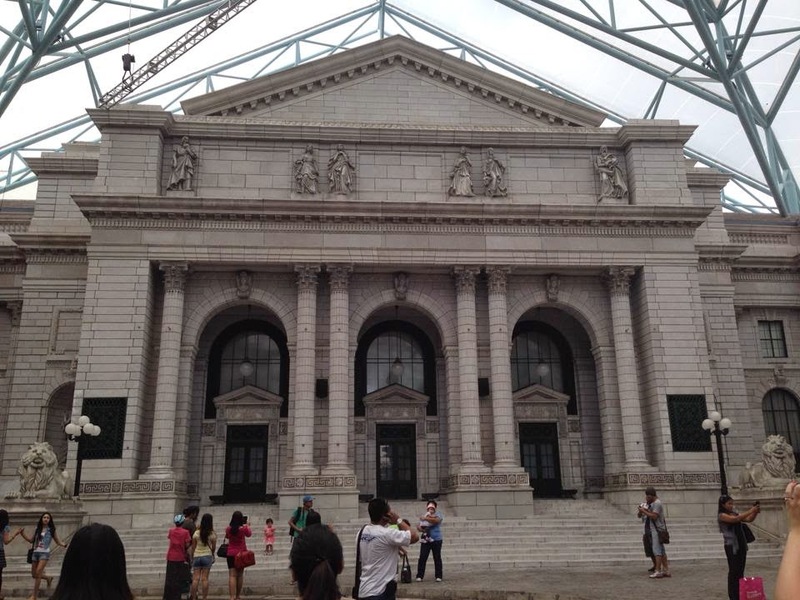 So what to expect in Universal Studios Singapore? 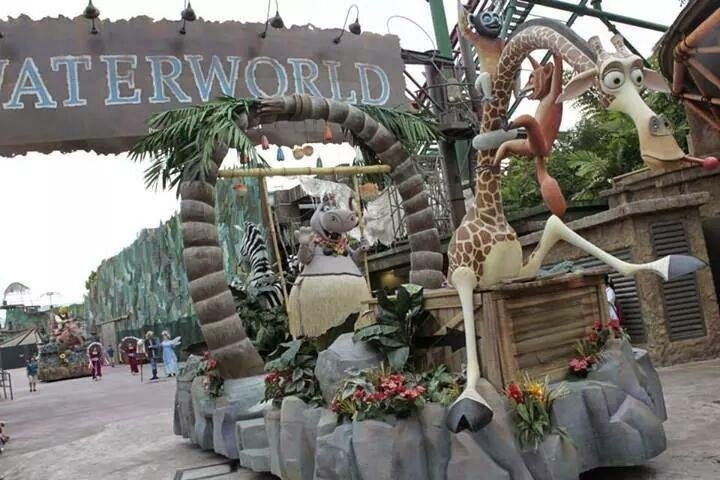 You can go to Universal Studios via Sentosa Express with stations located in Vivo City. This is the easiest way to go there. You can also ride their Sentosa bus. But if you want a cheaper way, you can take the walkway in Vivo City. This would require lots of leg work but do not worry, there are a lot of travelators or moving walkways, which makes your trip easier and less tiring. At the entrance, you can see the famous rotating globe with the Universal logo on it. You can have your photo moments start there. The entrance ticket as of this writing is $74 SGD for adults, $54 SGD for children and $36 SGD for senior citizens. When we were there, my brother, who resides in Singapore booked our USS tickets in a travel agency weeks before our expected arrival. We just got those tickets for $67 SGD instead of $74 SGD. A great saving indeed! So if you're planning to visit USS, try to check online travel agencies like asiatravel.com as they sometimes offer discounted tickets. You can also ask your hotel in case they too have discounted tickets for their guest going to the USS. 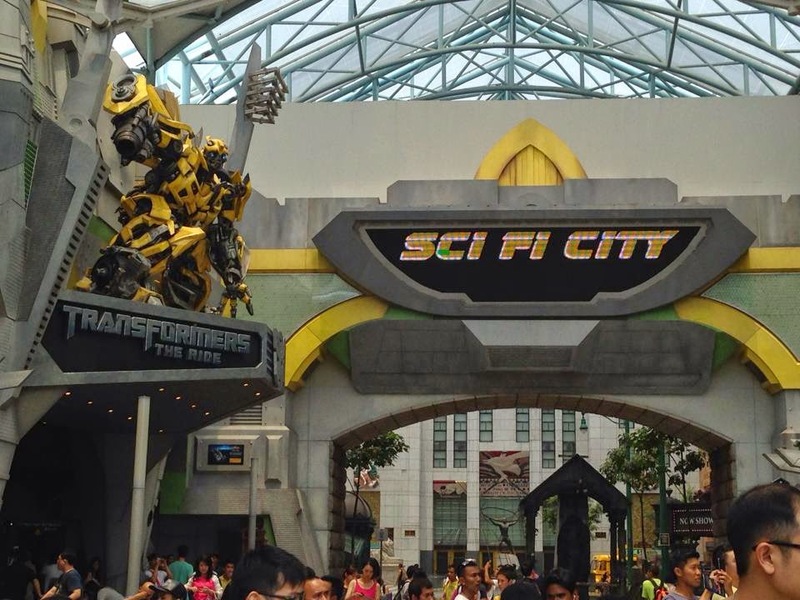 Universal Studios Singapore showcases amazing attractions and rides. Some are great for kids while some are for adults who want to experience thrills and adrenaline rush. 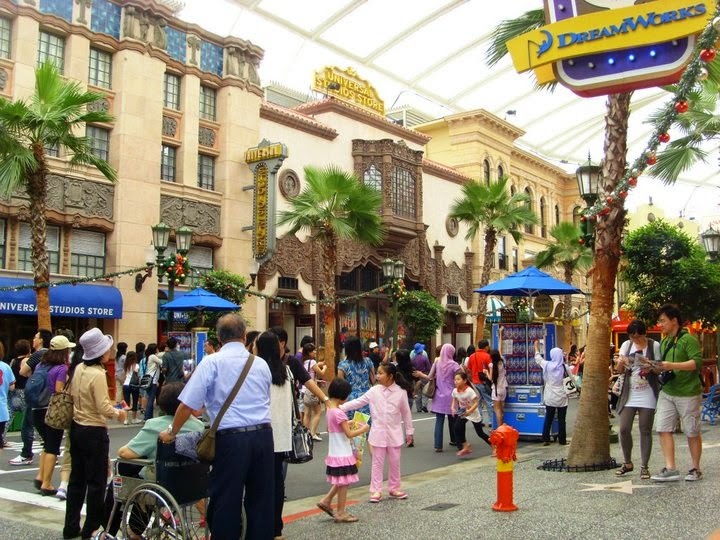 This theme park is divided into seven zones so expect a lot of walking around just to be able to see all sights. USS caters to everyone, young and old, so choose what rides would be perfect for you and your companions. Themed after the real Hollywood Boulevard, this is the main entrance of the park. In this zone, you will be greeted with palm trees, the beautiful Hollywood architecture of the 1970s as well as their epic Hollywood Walk of Fame. You can see restaurants and souvenir shops as you walk your way through the Hollywood Boulevard. Herewith, you will see Po of the Kung Fu Panda movie, Frankenstein, Woody Woodpecker, Marilyn Monroe, The Minions of Despicable Me and a lot more. If you dine in Mel’s Drive In, you will also experience eating in an old diner style café just like in the movies. The next place to visit is the New York themed zone. Here, you can see different architectural icons of New York like its city skyline, sidewalks, the world renowned New York Public Library and many more. Here you can also experience spectacular shows from the Sesame Street gang. Have selfie photos with Elmo, Big Bird, Bert, Ernie, Cookie Monster and other Sesame Street’s characters. If you are with small children, this place is definitely a place for you since they will go crazy over the Sesame Street mascots. This place is definitely a place to be if you love futuristic movies. When you roam around this city, you will feel as if you are in a Sci-Fi movie. I recommend that you spend ample amount of time here because it offers incredible rides and attractions. Fall in line at the Transformers 4D ride and it will blow your mind. This ride is one of the most sought after rides in the entire USS so better prepare yourself for a long queue. When we were here, we spent 2 hours just waiting in line. But the ride is worth the varicose veins and leg cramps standing up in line. Another ride that many USS visitors fall in line for is the Battlestar Galactica, a giant roller coaster. But as of this writing, I believe it was being discontinued due to some issues. You can be lost in this world as it brings you to ancient Egypt. With lots of obelisks, pyramids and pharaoh tombs, I am sure you can really feel as if you are indeed in the movie The Mummy Returns. 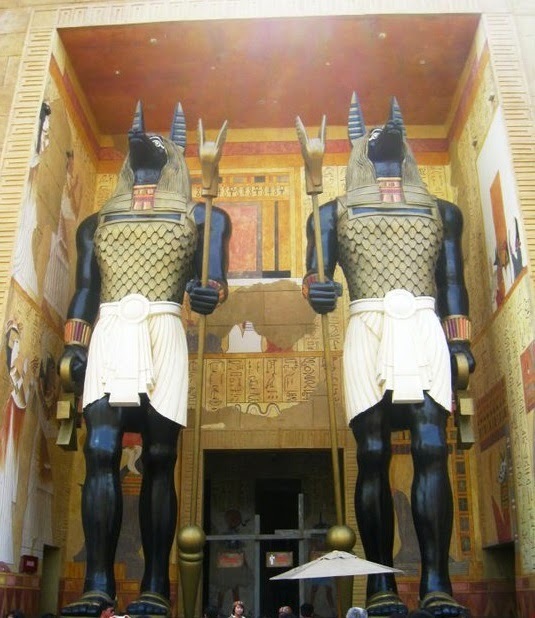 To complete this experience, go on a ride in The Revenge of the Mummy which is an enclosed roller coaster ride with lots of thrilling turns with only partial light available throughout the entire course of the ride. This is not for the fainted heart though. So better ready yourself in case you opted to ride this hair raising expedition. Also in this zone, you can try delicacies with Indian, Turkish, Mediterranean spices. It was a funny thing that we decided to have our lunch here. We ordered Indian food that has lots of heavy spices. For people with low tolerance for spices, like my cousin, better look for another place to eat. 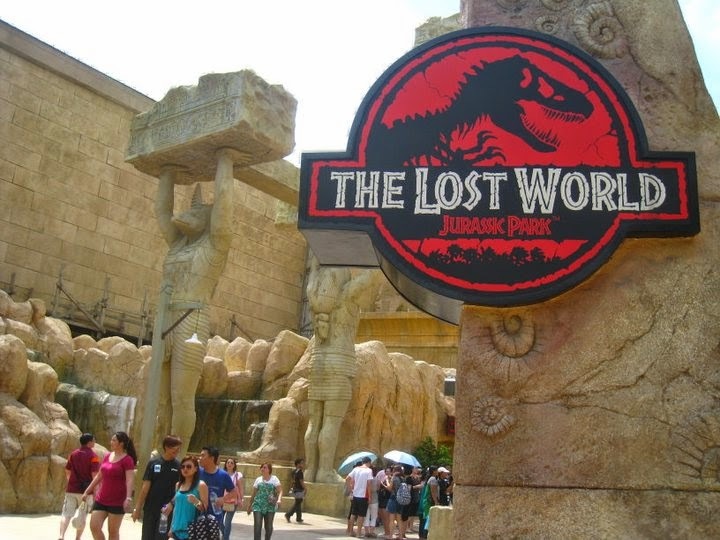 This zone is where you can find the Jurassic Park movie as well as the Waterworld movie theme. Here, we enjoyed the Canopy Flyer ride. 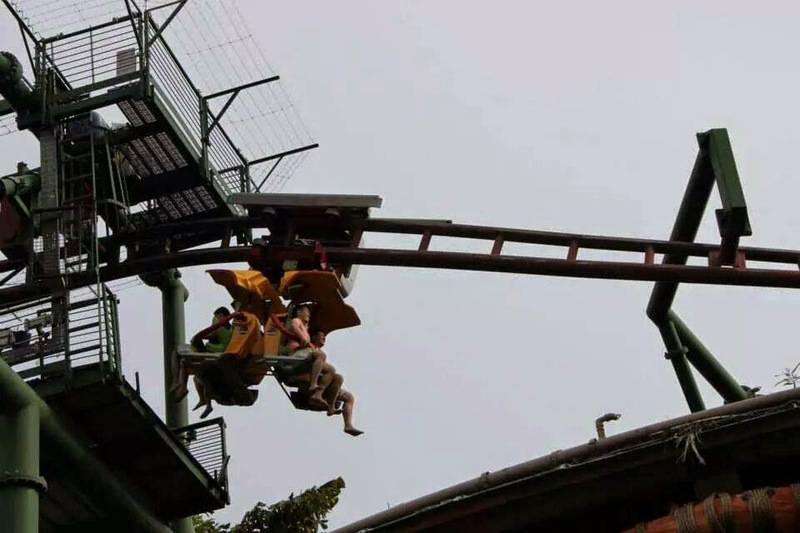 Me and my cousins together with my sister in law and brother shrieked like banshees as we experienced being suspended in the air with this sort of roller coaster ride. Next to this, you must definitely try the Jurassic Park Adventure River Rapids ride. 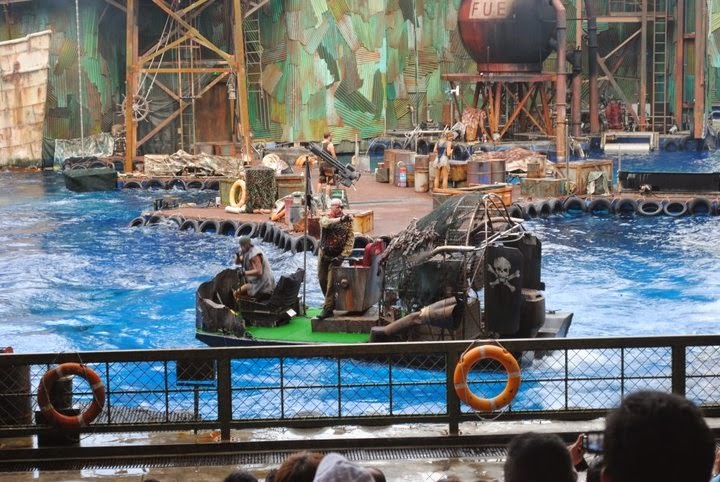 Take note, this ride is in the water so expect that you will be drenched afterwards. You can buy raincoat before going in to avoid being wet. Expect an amazing surprise drop at the end of the rapids ride. I nearly peed on my pants as we were dropped tremendously in the water. Enter the world of magic and fairy tales in the Far Far Away. You can see Shrek, Donkey, Princess Fiona, Puss in Boots and many more. 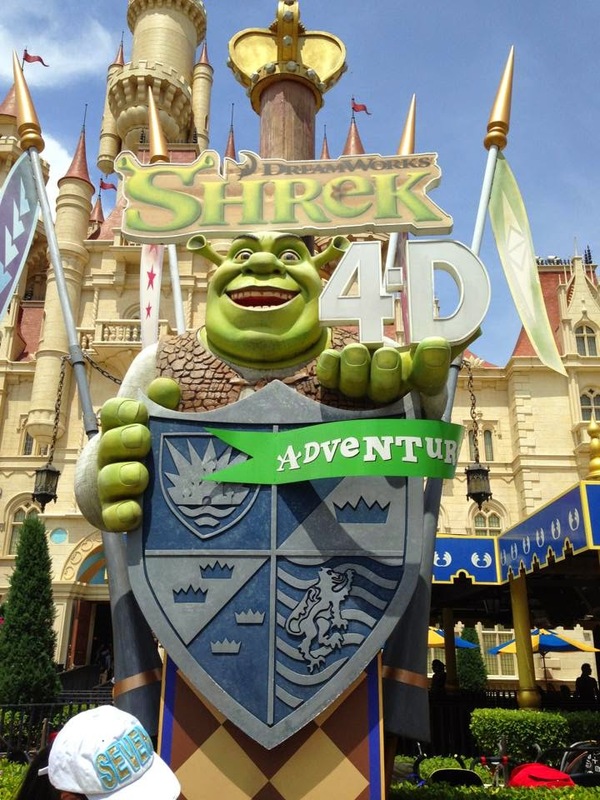 Do not skip the Shrek 4D Adventure with beautiful physical effects. Expect seats to jump, move and shake as Shrek brings you to the land of Far Far Away. 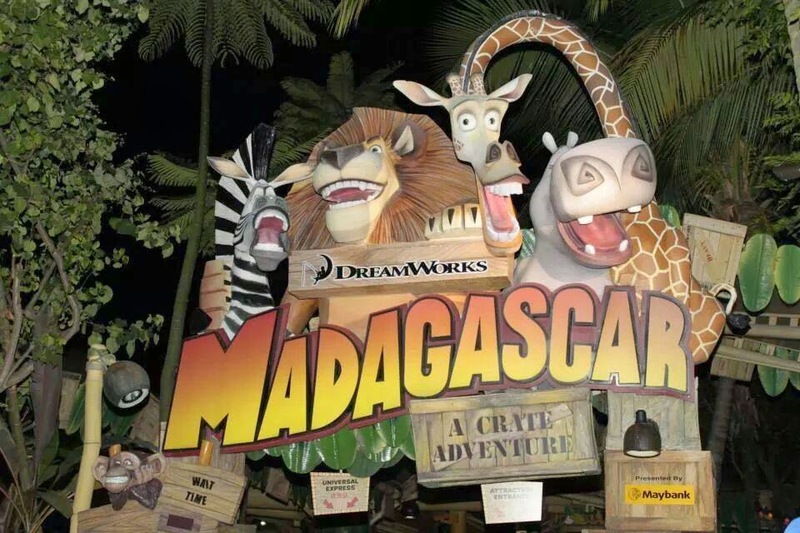 Have fun with the Madagascar movie characters like Alex, Gloria, Marty and Melman. Here you can ride the Crate Adventure. Even small kids will have fun in this water ride. If you have small children with you, you can let them ride the King Julien’s Party-Go-Round. Surely, they will have fun as this ride is full of colors and lively music. Lastly, do not forget to watch the Hollywood Dreams parade every Saturday and Sunday as well as public holidays every 5 pm. A tip for everyone, before 5 pm, just situate yourself in the path of the parade so you will be in the front line to watch the parade without being interrupted. So what are you waiting for? Have fun in Universal Studios Singapore!